The act of responsibly partaking of craft beverages with friends, family, and community members to relieve stress, celebrate, and/or build bonds with one another. A couple of self-proclaimed Brewery Shrinks, Jason Palmer and Stanley Tremblay are primed to advance the already booming New Hampshire craft brewing industry. Not only are they creating fresh, unique beer selections, but they have also become the first nano brewery in the state to craft their own hard cider offerings! 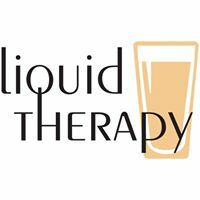 Built on the theory of community, Liquid Therapy isn’t your typical brewpub or ‘hole in the wall’. Looking to build on the commonalities we all share, they welcome those looking to enjoy something new that the mainstream players wouldn’t dare attempt, while engaging with one another in a positive, enlightening atmosphere. Friends, family, community: minister to one another, raise a glass, restore the soul.